NEW YORK--(BUSINESS WIRE)--Leading semantic search and natural language processing company NTENT announced that it has named Dan Stickel as the company’s new Chief Executive Officer (CEO). 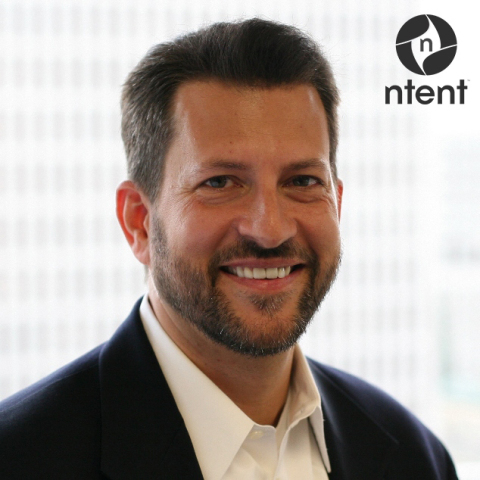 With over $100M invested in its core technology, and multiple related patents, NTENT is gearing up to scale its business and Stickel’s experience with rapid expansion at both Google and AltaVista, as well as other successful high tech companies, makes him an excellent match for the company’s strategic direction. Over the last 20 years, Stickel has held a variety of executive positions and was most recently CEO of Metaforic, a security technology company acquired in 2014. Prior to this, Stickel served as the CEO of Webtrends and before that spent several years at Google as the head of syndication products where he led a team that added >$1B to topline revenues and tens of millions of paying subscribers. Stickel ran the enterprise business at AltaVista and the software business at Macrovision, growing it from $25M to >$100M. He holds undergraduate and graduate degrees from Harvard University. “Dan has significant experience in leading and transitioning companies to make them leaders in their industries. His results-oriented approach, management experience, passion and drive to build strategic partnerships will play a pivotal role in extending our track record of search technology innovation while helping us enter the next phase of our business,” said NTENT Chairman Pat Condo. “Innovation drives change! We have a clear vision of how NTENT and our technology will help drive change through innovation in the search space. Having Dan come on board is another step towards materializing that vision. His experience, passion and background are invaluable and he’s an excellent addition to the team,” said NTENT Co-founder, Colin Jeavons.